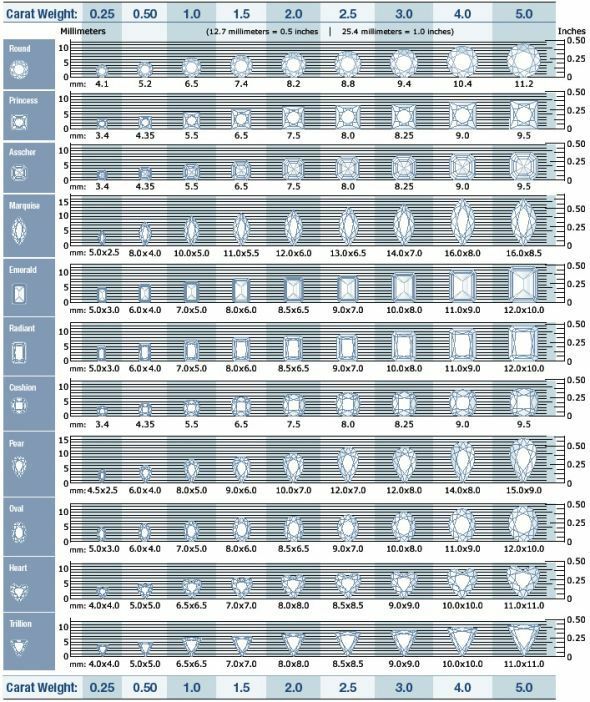 Not sure what size center stone you want? Use the following charts to help you decided! 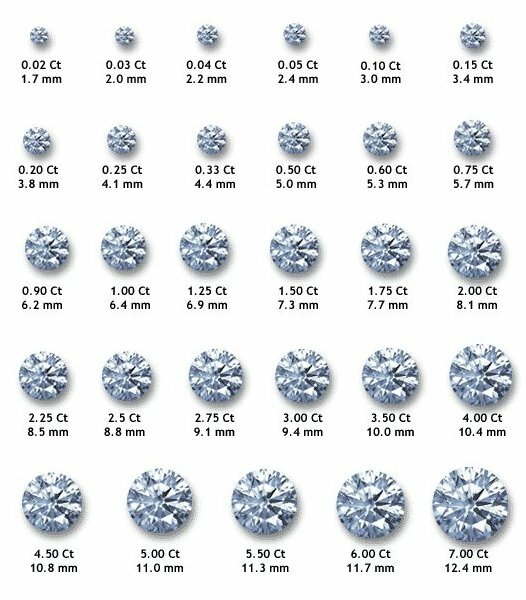 You can also find the matching millimeter size to your desired carat weight.